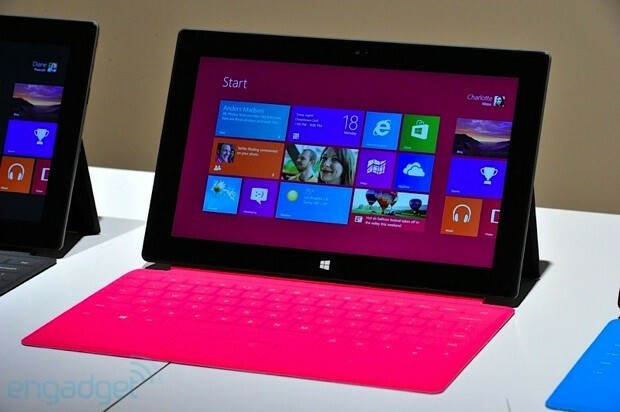 Just how confident is Microsoft that its Surface tablets will take off? To the tune of 3 to 5 million units shipped in the fall alone, according to the Wall Street Journal's supplier contacts. While that wouldn't be much when Apple already ships more than three times as many iPads, even discounting the supposed 10 million tiny iPads coming this fall, it would represent a strong start for a company that's only just dipping its toes into own-brand computing. Microsoft isn't confirming any numbers at this stage, but the large production volume might explain that Busby Berkeley-style TV ad -- you'd want a full song and dance routine if you had that many Surfaces to sell. Microsoft reportedly building up to 5 million Surface tablets for the fall originally appeared on Engadget on Tue, 16 Oct 2012 10:13:00 EDT. Please see our terms for use of feeds.